After several versions that didn’t come close to receiving the stable status the new version seems to develop much further into the competitive scene. SK-Gaming presents some of the key changes coming with v6.52c. The first major change, is the increased number of the bans. Games played with the former map versions often look the same. Three bans for every team and only a limited amount of viable heroes. DotA Allstars v6.52c adds a lot more variety since you have to think more about your opponents strategy and possible out picks. 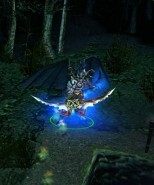 Lineups will become more important and there will be an outburst of early- and midgame heroes with abilities to slow down the enemy like Viper, Lich or Pudge or to deal massive damage while they can also stand a lot of damage like Sven, Skeleton King, Night Stalker or maybe even Spiritbreaker. The strength heroes have become a lot more viable since the new power threads combined with Mask of Madness and Armlet or Mordiggian is a combination to fear. Late game performance will also have to be considered during drafting since former carry heroes like Bristleback can’t do their job like they used to. But not only the balance of heroes and their abilities changed a lot with the new version. Another big modification is the midgame phase which has been adjusted a lot. 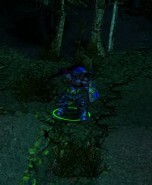 The gameplay will be a lot more focussed to the lanes and less on ganks, since Kelen’s dagger (…’of escape’ in the old versions) faced a remake. The most teams focussed their strategy on ganking the enemy since the early game to get control of the flow in midgame – what finally resulted in the win of the game. This becomes very difficult to play in the new version, because it lost its defensive ability for the fragile caster heroes. So a lot of people will think twice before they buy a dagger which did not become cheaper, but lost the useful ability to escape from fights. The dagger can still be used to initiate a team fight, but the risk to lack of other important items without the necessary escape ability will end up in teams favoring hero picks which can stay longer at the lane or tank more damage. With v6.52c even some of the oldschool pushing line ups may be seen again, since they have so much variety and options to go with while the opponent just cant dodge any attack with a simple blink. 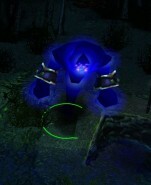 Just imagine a lineup with heroes like Drow Ranger and Vengeful Spirit who can boost the damage of the creeps, Syllabear with his bear who can tank a ton of damage, Omniknight with his ultimate and the combined heal and nuke of purification, Visage with his minions in a game with Warlock and Nerubian Assassin banned. Incredible jungling ability and a good initiator with dagger. The buff on counter helix doesn’t seem too huge, but its really powerful when you jump into several creeps. Berserkers call makes you nearly invulnerable for 3 seconds. Axe will definitely be played in some competitive games as key hero. Potential first pick or ban since he’s an absolute game winner now. Omniknight can even go alone on lanes against powerhouses like Warlock or Zeus and is an excellent supporter for the late game. He requires a counter pick like Medusa Doom Bringer to disable his powerful abilities or an item like diffusal blade if you want to stop him from supporting the damage dealers. Enigma remained pretty much untouched and even though the dagger nerf hurts him a bit the hero still has excellent lane and team fight ability. He can be played as a decent pusher with conversion and can still take out the whole enemy team with black hole. Very well rounded hero. Lich got a huge buff with that extra bounce on his ultimate and since dagger got nerved the slow from frost nova really hurts. He can take out the entire opposing team in a jungle fight and is familiar with carrying mekansm. His armor buff supports against all kind of damage based opponents, especially melee and with the dagger nerf in the back of the head its time for Lich to shine once again. He’s still one of the top tier even though he has become more fragile without dagger. He can solo nearly every lane and his ultimate is as powerful as ever. Zeus is still dealing huge amounts of damage in team fights and if he’s supported and protected in the right way there are only few ways to stop him. Awesome early- and midgame hero with excellent support ability for the late game. 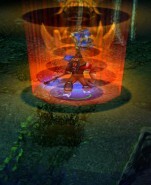 Can take out most of the enemies with his stun and disable and controls his lane with ease. Movement speed, mana drain, healthpoint regeneration and impale got improved aswell. Hes a possible key counter to carry heroes like Terrorblade or Slithereen Guard with his incredible burst damage due to finger of death. One of the raising stars. Awesome midgame ability with lifesteal, strength threads and armlet of mordiggian. 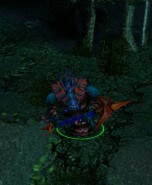 His slithereen crush damage buff is really good for early game ganks and the sprint ability has been improved as well. He’s even supporting his allied damage dealers with amplify damage. No doubt that we will see him a lot more in v6.52c since he has decent lategame ability and a low mana cost counter to the buffed lothars or wind walk abilities with his ultimate as well. 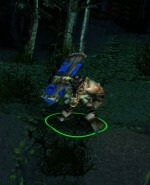 Incredibly good ganking hero from the first night on, because of his increasing movement speed passive skill at night. 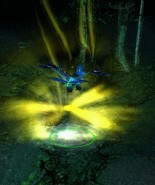 With items like armlet of mordiggian and mask of madness he is able to deal a huge amount of damage, though problems like horrid laneing and lack of farming ability still remains. Looking at the lategame the Night Stalker is still able to shine through silencing key heroes such as supporters or carriers. He always was a powerhouse, and now with the Bristleback nerf and no more dagger he can do his job of dealing massive damage even better. The reduced cooldown on metamorphosis is also pushing his role as damage dealer. Ganking him should always have the highest priority for any opposing team. Excellent hero who can shut down carry heroes and indicate with awesome damage and long stun duration. The only real problem with Earthshaker is that you need to play him flawlessly to succeed, meaning that the players usage of fissure or to blink in an use the ultimate has to be more than average. Very flexible and agile hero with nice ganking and evading ability. Great for team fights and chasing. Requires a lot of instinct for the right moments from the players, but a Puck with his mighty spell combo can turn the tides in most of the games. Absolute jungling monster. It should take a maximum of 10-13 Minutes to get a vanguard and voidstone. And another 10-15 minutes and you have guinsoo’s to disable your targets. Awesome lategame support ability and very good ultimate which makes pushes really easy.